Junior Survival Camp (JSC) is designed to give boys training and experience in survival camping. Upon completion the junior leader will have completed all requirements for the silver 'Wilderness Survival Merit. 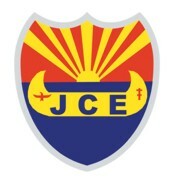 The time at JSC will be divided between instruction and application. Boys are placed into two-man survival teams and will select a name and motto for their team. Boys learn skills such as advanced fire craft, primitive beds and shelters, outdoor cooking, and first aid. Teams also will construct and live in survival shelters. They build solar stills and use the water that they must obtain. They use sleeping bags and ground cloths for the first two nights. Their survival kits are inspected and brought up to minimum standards by the camp staff. 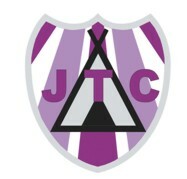 Junior Training Camp (JTC) is for boys in seventh grade and above. This camp trains boys in camping techniques and outpost leadership, conducted in an outdoor setting. Trainees are divided into patrols that will camp together, eat together, and function as units throughout the camp. Training emphasizes campcraft techniques, team-building skills, and gives boys the opportunity to demonstrate what they have learned. In addition, each trainee receives a booklet at the beginning of the camp to complete while at the camp. Junior Canoe Expedition (JCE) is for those boys who want to learn more advanced canoeing skills as well as how to conduct canoe trips. Boys must have attended Advanced JTC and have finished the ninth grade. Topics which will be studied include water-related first aid, swimming safety, canoe safety, waterproofing of gear, canoe care, portaging, and conducting council fires. After attending classes the first day, trainees and staff will set out on a river expedition. During this time they will complete all the requirements for the green Canoeing Merit. Expeditions are divided into groups, because often there is a restriction on the number of campers at each campsite. 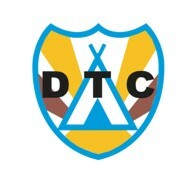 DTC is a special camp designed specifically for Discovery Rangers. The primary focus of the camp is on learning how to use the Patrol System of outpost leadership, and making a personal commitment to Jesus Christ. Boys will also receive introductory training in a variety of camping skills, including, rope craft, tool craft, fire craft, and lashing. DTC is also unique in that outpost leaders are encouraged to attend as guests and observe the training their boys are receiving. Boys must be 8 ? 10 years of age and be actively involved in their local outpost to attend.